Chances are, you’ve experienced plenty of injuries in your life to date. A few may have been serious, sidelining you from work or other regular activity. But this time is different. Not only have you been hurt, but you’re pretty sure you’ve also been wronged. With this realization comes another: You may need a lawyer. This may sound like a daunting prospect, especially if you’ve never hired a lawyer before. The good news is, it doesn’t have to be, if you tackle the process like you would any other: one step at a time. This informal first step will help you narrow your search from the get-go. Remember that not all who practice law have the same skills, knowledge and experience. 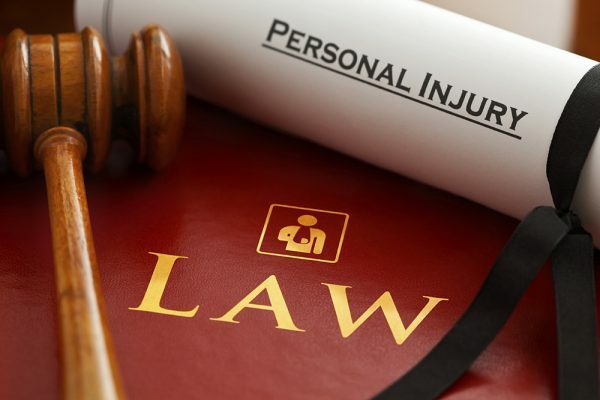 In this case, since you’ve been injured or otherwise harmed—in an auto accident or other incident, or because of medical error—you will want an attorney who concentrates in personal injury and/or medical malpractice. While some generalist attorneys may include this in their list of practice areas, exclusive expertise is usually your best bet. Contact your state and local bar associations. Most have referral services designed just for this purpose, providing you with names and contact information for appropriate attorneys (in terms of geography and practice area). While this route is generally objective and casts a somewhat wide net, it can be a good starting point. Check online services. Today, there are many reputable internet-based resources to help you find a good lawyer. Unlike an objective directory, these sites often offer ratings and reviews. Ask around. The age-old method of consulting friends, relatives and colleagues is certainly still a useful one. A recommendation from someone you know and trust can carry more weight than any other factor. Just be mindful, though, of your identified need from step one; the fantastic attorney who guided your cousin through his divorce is not likely to be the right candidate for your personal injury case. How many trials have you had? Have you represented cases similar to mine? What would be your general approach? What is your typical fee structure (hourly rate, flat fee, contingency based)? As with so many areas of life, the only questions you’ll regret are the ones you don’t ask. Through the responses and dialogue your questions evoke, you are likely to get a reliable feel for whether a solid working relationship is on the horizon. In most cases, a personal injury lawyer uses a contingency-based fee structure. This means that payment for the lawyer’s services is a percentage (usually 30%–40%) of the ultimate settlement. This arrangement benefits you, the client, in two ways: 1) You do not have to come up with any payment upfront, and 2) As your lawyer’s entire service fee depends on winning the case, you can feel confident that he or she is going to do everything possible to make that happen. It’s important to understand that attorney fees represent only part of the overall expense of a case. There are also the legal costs, which may include filing fees, travel costs, expert fees, research costs and/or other associated expenses. The client is generally responsible for covering these, regardless of the outcome of the case. The take-home: Never sign an agreement with an attorney before you fully understand all its terms and conditions. The best legal outcome starts with the right lawyer. Finding him or her requires sufficient time and thoughtful, honest answers. When a lawyer readily offers both, consider it a good sign—and the perfect start.